Unless you’ve been living under a rock, there is no doubt that you have heard of the immense benefits of coconut oil, and its multiple uses— from safer cooking to skincare to its ability to help you shed pounds, there are literally dozens of uses for it. 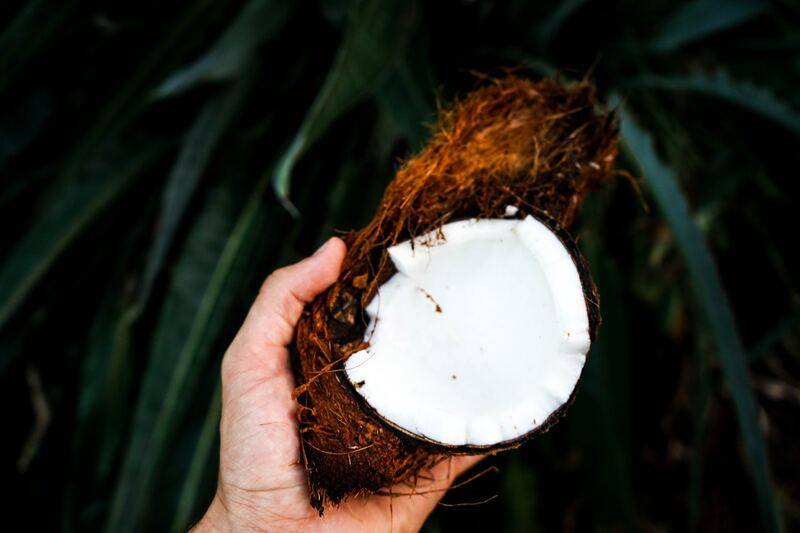 Despite some backlash about its rising popularity recently, coconut oil is still one of the most used superfoods out there. But what is it that makes it so great? The secret to all the hype behind coconut oil is a molecule of fat called a medium chain triglyceride, or MCT for short. What’s so great about MCTs is that when ingested, your body converts them into ketones—a more clean and sustainable form of energy. These ketones help you burn fat for energy rather than glucose (derived from carbs) which in turn can aid in weight loss, boosts energy and even enhanced cognitive function. There are four types of MCTs, and they all play different roles in the body. Let’s take a deeper look at what each type of MCT does and how they benefit the body. The numbers beside the names indicate the length of the carbon chains. Caproic Acid (C6): This is the shortest form of MCTs, and is converted to ketones the fastest. However, they are not the best quality MCT out there. They are also known to cause disruptions in your digestion and may cause you to make a few too many trips to the bathroom. Caprylic Acid (C8): This is of superior quality. It converts to ketones within a matter of minutes, making it very powerful for suppressing hunger and fueling your brain in a way that other MCTs do not. Caprylic Acid (C10): This form takes a little longer to get converted into ketones and doesn’t give you as high of a ketone spike, but it still does the trick. Lauric Acid (C12): This form is more of a long chain fatty acid and is widely found in generic coconut oil. It won’t help produce ketones to curb your hunger or sharpen your cognition as much as the other three described. However, it is the strongest MCT when it comes to fighting off viruses, fungi, and bacteria, including Staph and Candida. Coconut oil is about 50% lauric acid, giving it its antibacterial properties. How Will MCTs Benefit Me? The consumption of MCTs has a multitude of benefits for our bodies and minds. Here are the top three reasons why MCTs should be a regular part of your diet. When our stomachs are empty, we starting feeling the slump. This is when we release ghrelin (our hunger hormone) to let the brain know it’s time to eat. Once you eat, the body releases cholecystokinin (CCK)—which is the major hormone responsible for gallbladder contraction as well as the secretion of pancreatic enzyme, which lets the brain know it is now satisfied. With, the consumption of MCTs, ketone bodies have been shown to actually suppress ghrelin and enhance CCK, meaning you feel less hungry and more satisfied. This can not only lead to healthy weight loss, but the ketones also increase metabolism, can reduce fat storage and burn fat you already have as energy. Talk about a triple bonus! The ketones produced by MCTs are also able to provide immediate energy to neurons, without the inflammation and crash that comes along with sugar spikes. Being a cleaner, more sustainable form of energy, burning ketones will do away with the brain fog, the tip-of-the-tongue moments, and give you a clearer mind. This will also help enhance mood and memory. In fact, one of the first symptoms of neurodegenerative disease such as Alzheimer’s or dementia is impaired glucose metabolism in the brain—when the sugar can’t get where it needs to go, and without energy from it, brain cells start to die. Ketones work on a separate system from glucose, and that system often stays intact in people with dementia. That means MCTs can provide energy to dying brain cells, keeping neurons alive in the face of degeneration. In some cases, ketones have been even shown to reverse symptoms. With the rising number of cases of these illnesses starting in younger people, I truly believe preventative measures need to be taken. And MCTs have been shown to be one of them. Who wouldn’t want more energy? MCTs make excellent fuel for your workouts or even daily running around. Sugars and simple carbs sap not only your energy but also reduce your amount of testosterone, which decreases endurance and even muscle building during workouts. MCTs also help you build up less lactic acid as you exercise, so you can go on longer and stronger! And as mentioned, when you’re burning your own body fat as energy, you won’t need to refuel as often. There are some good companies such as Bulletproof out there that make high-quality MCT oils that are distilled and made without any harmful toxins. You can use MCT oil in your coffee, shakes, your cooking or just take them in with a spoon! Now that you understand the different types of MCTs and their respective benefits, try to incorporate them more in your daily diet and “see” how you feel and what it does for your own health, energy and vitality. Remember, chronic diseases like diabetes, arthritis, heart disease and cancer are inflammatory diseases and if we can train our body to use fat for fuel more efficiently instead of glucose, we are truly decreasing our body’s inflammation and the potential of developing these inflammatory diseases along with it.